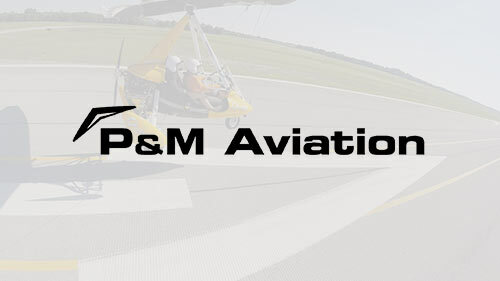 P&M Aviation is the acknowledged global leader in flexwing aviation. They design, develop and produce the most advanced flexwing aircraft you'll find anywhere in the world. Everyone on the research and development team is a microlight pilot who can draw on many years of experience to refine and improve aircraft - not only on the drawing board, but also through their skill and knowledge in the air. This cutting edge work has helped them win international competitions as well as prestigious design awards. P&M Aviation is the acknowledged global leader in flexwing aviation. They design, develop and produce the most advanced flexwing aircraft you’ll find anywhere in the world. Everyone on the research and development team is a microlight pilot who can draw on many years of experience to refine and improve aircraft – not only on the drawing board, but also through their skill and knowledge in the air. This cutting edge work has helped them win international competitions as well as prestigious design awards. A current project being developed will see their aircraft flown across Antarctica as part of a challenge organised by Flying for Freedom, a charity set up to inspire and motivate wounded, injured or sick ex-servicemen and women. With sub-zero temperatures, the company was asked to incorporate a heating system to keep the pilots warm – quite possibly the first of its kind ever developed. ForrestBrown visited P&M Aviation’s base in Marlborough, Wiltshire, to see first hand the innovative work they are doing to advance technology in this field. Guided by their technical director, Dr Bill Brooks, we were able to gain a greater understanding of their business and together, identify R&D activities relating not just to prototypes, but also improvements to existing designs. In turn, we were able to work closely with members of the P&M Aviation team, to help them understand relevant tax legislation and HMRC requirements. And by placing their activities into context, ensure the BIS guidelines were applied correctly. We were also able to add value in another way. Through discussions with Andrew, we realised that although the company had made some small claims in the past, the records they were keeping were incomplete in terms of an R&D claim. By analysing previous data we were able to prepare retrospective claims, bringing together all the correct figures. We then helped the company implement an improved record keeping process to make future claims more accurate and far easier to put together. There is no doubt that innovative companies like P&M Aviation can benefit greatly from a successful R&D tax credit claim.